The law firm of Woody Law Offices, P. C. can provide you with high quality, legal representation that provides for timely and cost efficient execution of your Will, Power of Attorney or a Guardianship for your loved one. A Will provides for an individual to have his/her property distributed at death according to their wishes. Most importantly, the Will also names the individual whom you would designate to carry out your instructions . Wills also provide a vehicle for individuals with children under the age of 18 to designate guardians of their minor children. 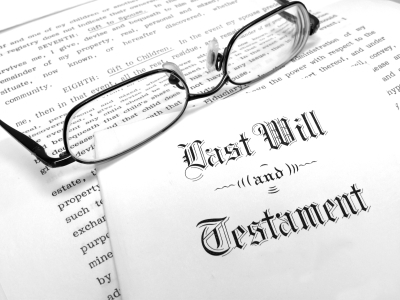 It is important to note that a Will only becomes effective upon your death, after it is admitted to probate court. It is a legal challenge to the Will because someone believes the Will presented is not valid or the Will was executed under undue influence. This means that the deceased was influenced through coercion, duress or fraud to place the wishes of another, rather than his/her own, into the Will. A Guardianship grants a court appointed individual the authority to make decisions for an incapacitated individual. A person is deemed incapacitated by a physician when he/she cannot properly care for his/her physical health and well being, maintain their financial affairs or provide for their basic needs. A Guardian will assume control over the finances of the incapacitated person as well as the person. Power of Attorney is a legal document that authorizes an individual to give authority to another person to act on his/her behalf in a legal or business matters. What is a Special Needs Trust? Special Needs Trusts are typically established by parents for their disabled children. Anyone can establish a Special Needs Trust for the benefit of a disabled beneficiary. Creating a Trust under a Will is an inexpensive means to manage and distribute a child's inheritance. Children with special needs do not have the ability to accept the responsibility to financially manage their assets so therefore their assets are protected and allowed to grow in the Trust.